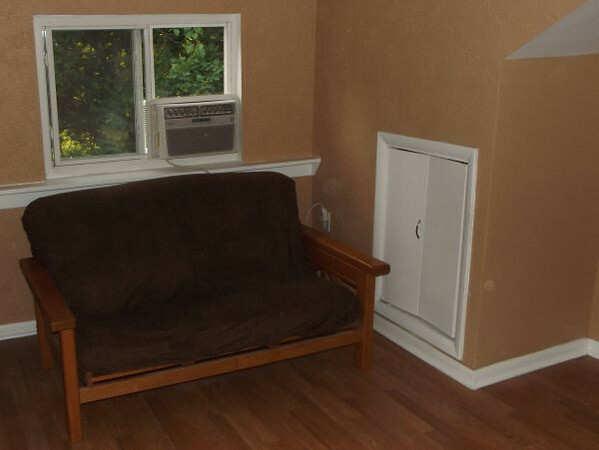 The studio-efficiency on the 3rd floor features a sitting area furnished with a futon. The sitting area has a vaulted ceiling with fan and light above it. Some storage is possible under the eaves behind the white doors.